What does the main tag 'Dwarfmoon' do compared to others, especially compared wiith Moon and asteroid? Because sùall, irregular moons orbiting planets are still moons and not asteroids, because asteroids orbit stars and not planets. And it will also generate the object differently than an moon. Or at least that's what I think. Im going to need SE to weigh in then, since before I figured out how to fix the issues with dwarfmoons I just changed them to asterioids and seems that worked fine. 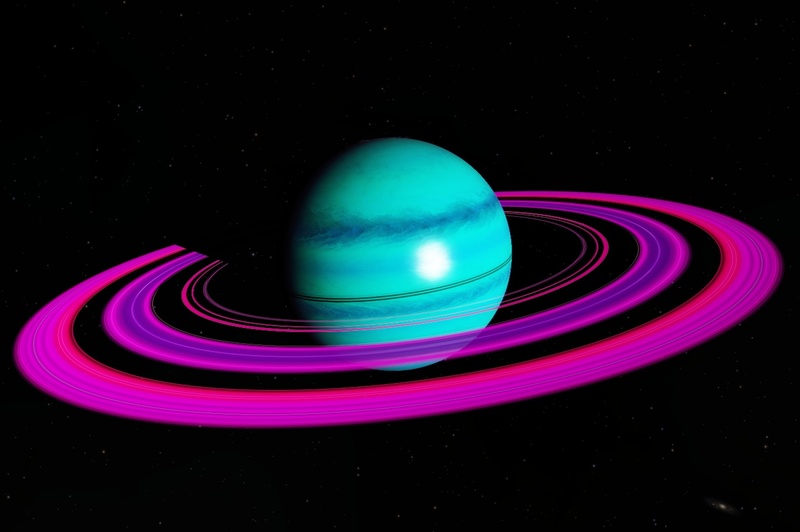 Also is there a way to set the color of rings in custom planets? SE you'll also need to update the OP with the Aurora tag, since noones posted questions or anything about them. And how accurate are my comments on each field's purpose? And am I right in supposing adding multiple different aurora tags would either not work or break all of them? Height 36.8798 //Height in km from surface where they start? NorthWidth 403.7672 //How wide each ring is? Currently cant run Space Engine so has to rely on others to test/view his creations. In the process of fixing that however! I've been playing around with space engine recently and decided to try and make a few custom solar systems to explore. I've made a couple of planets however each an every one of them including any moon I add have aurora borealis at their poles and I don't know what value in the .sc files can turn those off, so I'm asking if any of you know. Also, there are several values in the .sc files for colors of area on the surface/atmosphere/etc. that I don't quite understand, such as the following. "colorDesert (0.000, 0.000, 0.000, 0.000)"
I think each of the four place values are in scales of 0-1 but what do each of them do? Are the first three RGB values? What is the fourth value? Lastly, how could I go about addnig custom textures to a planet I make? FlyingSpaceCow, you should ask such questions in this thread. If you read its opening post, you will find answers. I've made a couple of planets however each an every one of them including any moon I add have aurora borealis at their poles and I don't know what value in the .sc files can turn those off, so I'm asking if any of you know. Yes it is RGB values, the fourth value is a specular reflection intensity. 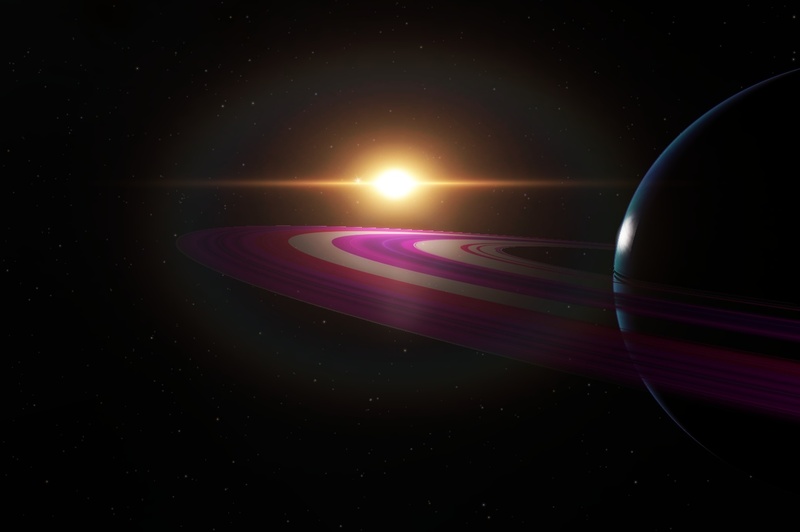 I've been making a solar system and everything's gone right so far, but I'm trying to change the color of the rings to a blue and they wont change at all unless I do something like putting Saturn's ring texture into the code. You cannot control the color of the rings in the script, the only way to control color is to make a texture. Is there at least a way to randomize it so I can pretty much keep resetting it until i get the color I want? If not, where could I find some ring textures? Is there at least a way to randomize it so I can pretty much keep resetting it until i get the color I want? If not, where could I find some ring textures? There are countless ones floating around out there, mostly in Celestia addons. But the odds that you'll find something identical to what you want are small, so you're better off just making them yourself, either from scratch or by editing existing textures. They're 1-dimensional so they're easy to work with. Alright, I guess I'll do that then. I do hope they add some more customization for rings later though. Alright, I managed to make some pretty good rings, but there's still a pretty noticeable problem. I don't get this problem when i just use a downloaded texture, it only happens with the ones I've made myself. Am I doing something wrong? Make sure that the gaps in the rings are colored black, in addition to being transparent. Should the opacity be 0? Because I did that and it still looks the same. Also, do you know where I might find some textures? I've been looking a lot but haven't found much. Should the opacity be 0? In the case of backlighting it's the color that matters, if I'm not mistaken. Regardless of opacity, each pixel also has an RGB color value. You need to make the colors in the transparent regions be black, otherwise it will be lit up when backlit. Also, do you know where I might find some textures? Try browsing fictional addons in the Celestia Motherlode. I'm still confused about what I'm doing wrong, I still keep getting empty areas that are backlit. I have the PSD file if you think you can look at it and find out what's wrong. I still keep getting empty areas that are backlit. I have the PSD file if you think you can look at it and find out what's wrong.